This page will document my fimir army as it grows. This particular tribe hail from the Eastern coast of Albion, specifically the bleakmoors. They differ from the Fimir of the Old World in that their tribe is much larger than most fimir clans. They are not forced to hide in the mists to survive as their cousins in the bogs and fens of the continent are forced to. The Fir Domhan, or the Fomor, as the human tribes call them, have long co-existed with the tribes of the East, specifically the Tuatha Taiden, who are linked to the Domhan by blood and oath, and often march to battle together. Below are the units that will make up the war party of the Fir Domhan. Most of the army is still under construction, but I will update the page as units are finished. This unit of fimm warriors are devoted primarily to Lisaart, a daemon prince who takes the form of a serpent. Lisaart is known for stealth and speed, and the warriors of Lisaart take these qualities to heart, and are masters of the ambush. In battle they wield their weapons with a fluid grace that indicates that the fimir of the Fir Domhan must practice many fighting styles, as the hulking devotees of Balor's brutal battle form are as night compared to day when set against those of Lisaart's patronage. Though all fimir bear tattoos to some extent, those of Lisaart's followers usually have snakes woven into their swirls and spirals, subtly hidden to reflect the nature of their deity. Led by the veteran fian, Goll, a fimir of few words and many battles, the Súile na Lisaart are often in the vanguard of many raids, silently cutting sentries throats with bone knives before the main force attacks from the mists. Fedelmid is a stoic young dirach. He serves Solkan, the God of Law, with utmost devotion. He is a Brithem, or judge, and is the supreme arbitrator of the law among the Fir Domhan, bar Morgayne herself. It is Fedelmid's duty to enact the will of Solkan without fear or favour, and he has been gifted with absolute impartiality by his patron. Morgayne also employs Fedelmid as an assassin of some skill. His magical powers allow him to pass unheard and unseen, no small feat for a dirach of the Fianna. His skills with a blade mean no enemy of the fimir is safe once they have been condemned by the council and thereby by Solkan himself. There have been many and more slights to the Fir Domhan settled through the judicious use of Fedelmid's sacrificial dagger. Murdach is high in Morgayne's esteem, for he is a solid and dependable war leader. He does not antagonise the dirach as some of his peers do, but treats them with deference and respect. This goes down very well indeed with Grunsgul and Fedelmid, who constantly point out his example to the other nobles, which irks them no end. If they feel aggrieved by Murdach's sensible nature they do not call him up on it, as Murdach is a sombre fellow and intolerant of pointless bickering. As a devotee of Solkan, he is extreme in his views on fairness and the rule of the law. Added to this, Murdach is a renowned warrior. He takes to battle with workmanlike efficiency, but his axe is always busy amongst the foe. All this keeps many mouths shut, another reason Morgayne is so fond of Murdach. 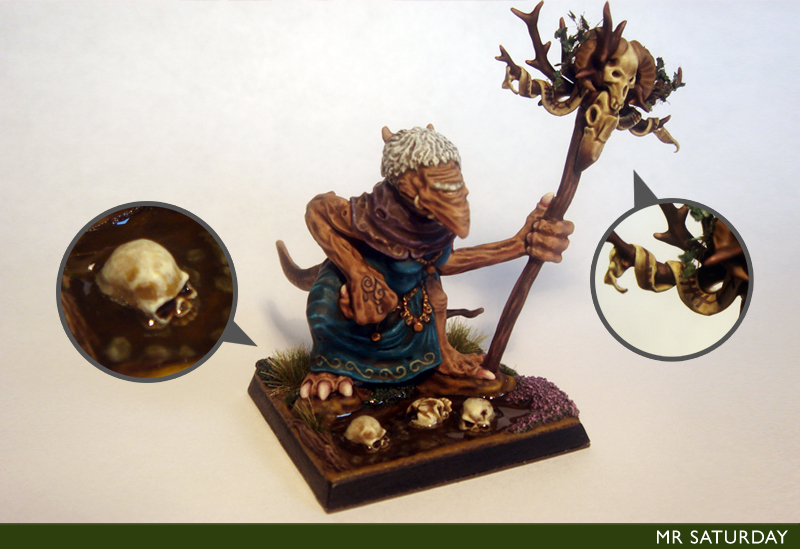 Grunsgul is Morgayne's most trusted dirach, and has been in her service for some considerable time. He is very old indeed. In fact, by rights he should have been dead for centuries. This is something Morgayne is acutely aware of, but due to Grunsgul's immense knowledge and experience she lets the matter lie. Besides, she finds it comforting to reminisce with Grunsgul about events that only they can now recall. Grunsgul spends a great deal of his time these days laying down the secrets and stories of the fimir onto endless sheets of vellum. They are written in Fimar, a language now only legible to a few of the fimir. He is aided greatly in this endeavour by his daemonfriend, Mu'in. Mu'in is a daemon of Solkan, and is forever cataloguing and sorting Grunsgul's scratchings into something approaching a library, often tutting and muttering to itself as it tries to keep things in order. Despite Grunsgul's great age, he is still a formidable magic user. With Mu'in entrusted to bear his assortment of spell books and scrolls, he take to war on his floating altar, know to the Fir Domhan as the shard. According to legend it was once part of the wandering island, the spiritual home of the fimir. 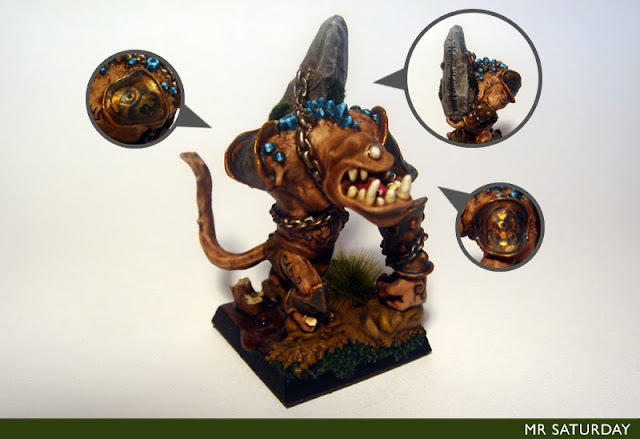 In battle the old dirach also favours the tathlum, a concrete ball attached to a chain. What it lacks in subtlety or accuracy it more than makes up for in the sheer damage it can cause should it hit home. Crom Cruach, known to the clans of Albion as the great worm or the crooked one, is a portent of slaughter and woe. His appearance heralds battle and bloodshed, as Crom is drawn to the fields of slaughter as a fly to a corpse. Worshipped by the human tribes and fimir clans alike, this daemon has taken a particularly benevolent interest in the fimir of the Fir Domhan. He frequently whispers to the Dirach, Murdach, of impending attacks on the clans, and it is often that Crom gorges himself on the resultant massacre. Some say this is partly due to Fimul, father of the fimir, as all daemons of the deep places owe some measure of fealty to the God of the Earth. In battle Crom appears as a giant flailing worm, surrounded by a mewling retinue of his maggot daemons. He is wont to vomit great gobs of stringy phlegm at the enemy, this terrible missile dissolving flesh and melting bone. More horrifyingly it also holds the souls of his victims fast for Crom to consume at his leisure. So great is Crom's lust for death that he often surges forward into the enemy ranks himself, his great tentacles pulping his terrified foes before they are crammed into his awful maw. The wandering brothers are known to range all over Albion. The towering athach has a great wanderlust, and is terribly curious about all the affairs of the smaller races. Magog, the larger brother, is a simple fellow, easily pleased, and no happier than when presented with a barrel of ale or shank of beef. Gog, the smaller twin, on the other hand, is always keen to know more and see over the next hill, and so badgers Magog to keep on roaming. 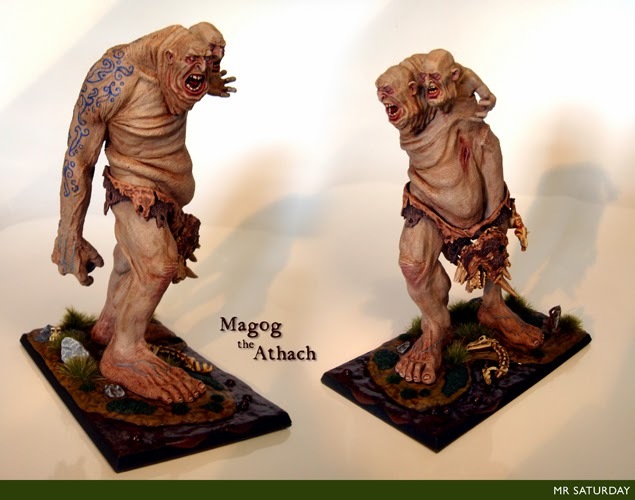 This has led the pair into trouble more than once, but Magog is fiercely protective of his smaller brother, and when roused to wrath is a terrible and merciless foe. 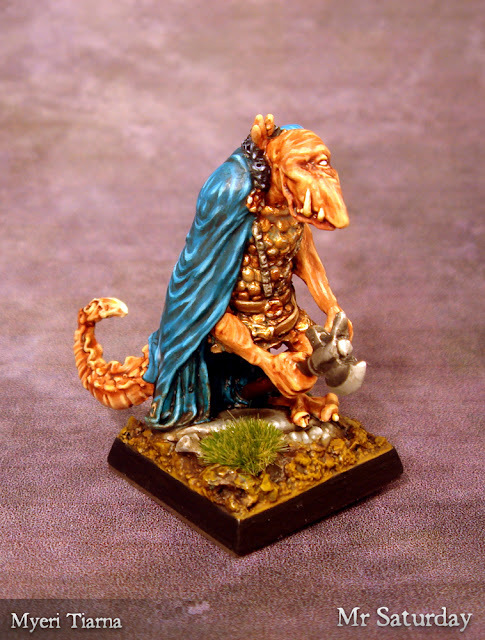 Gog has long been fascinated by the fimir, and has made a great nuisance of himself among the Fir Domhan, asking endless questions of the shearl as they hunt fish or collect mushrooms out in the fens, or tramping after hunting parties to see what they are doing. Some irate Fianna eventually called on the dirach to do something about this enormous pest, and so, with typical cunning the two dirach Grunsgul and Fedelmid struck a deal with the brothers. When the athach visited the lands of the Fir Domhan they would be welcome at certain gatherings of the clan so that Gog could hear such tales and stories that are told there. They would also keep Magog in meat and mead at these events, which turned out to be no small amount. In return they would vow to leave the shearl and fimm alone, and help protect the clan if called on. The fimir have so far come out on top in this arrangement, with the athach saving no few members of the clan with his timely appearances, and as an ally in battle he is mighty indeed, pounding enemies to mash with devastating sweeps of his hammerhand. The undisputed leader of the Fir Domhan, Morgayne, or old Peig as she is know by many (though not to her face), is a meargh of truly ancient years, even considering their immense lifespans. She rules the tribe with an authority that is almost unquestioned, and any dissent there is is usually broken with no more than a vicious tongue lashing, as Morgayne is renowned for the sharpness of her rebuke and the quickness of her wit. It is not unusual to see her out among her tribe, wagging her withered finger at shearl who should be working faster, but equally the most powerful mistmor has been sent away as chastened as a small child told off by it's mother from an encounter with one of Morgayne's venomous tirades. As old as Morgayne is, she is still a powerful magic-user. Able to call down the killing mist at will, speak to daemons as an equal and turn a heart cold with a glance, Morgayne is a fearsome opponent, but it is in the raising of the dead from the bogs that Morgayne shows the most mastery. From the towering fenbeast to the horrific and distorted half-dead, she is able to create particularly powerful constructs, glowing leystones embedded in their bodies binding them to her will. The fact that most of the souls bound into these monsters were put in the bog by the meargh in the first place may explain some of her proficiency. It is not common that Morgayne travels to war with her tribe, usually sending her dirachs Murdach and Grunsgul in her stead. Should the need be great, however, she will lead the war party, unleashing terrible spells to destroy the enemies of the clan. Wizard - Avagdu, bearer of Morfran's stone. Avagdu is a strange-looking shearl who would have been sacrificed long ago due to his deformities, as the fimir do not suffer any member of the clan who cannot contribute. It soon became apparent however, that Avagdu was immensely strong, and more unusually, acted as the bridge for the spirit of Morfran, a long dead meargh. Avagdu's mind is almost empty, and it is this that most likely allows Morfran to control him so easily. Morfran's soul is bound to a large wyrd stone, and through this, and her odd connection to Avagdu, she can inhabit the material world. In battle Avagdu can be seen trudging forward, the great stone lashed to his back while arcs of lightning whip from the stone to incinerate the enemies of the clan. At the edge of the fens surrounding the holdings of the fir domhan stand carved stones twice the height of a man, jutting eerily out of the bog. Many are overgrown by moss and weed, or have begun to list as the swamp inexorably undermines their foundations. It is at these places the traveller must avoid trespass at all costs, for in doing so he will awaken their awful guardians. These terrible creatures are the leathery remains of those sacrificed to Fimul by the meargh and dirach of the clan over the centuries. They are given awful life by a shard of Leystone, which is jammed into the throat of the sacrifice once it is cut. The leystone, or weird stone as some call it, slowly pulls magical power from the depths of the fen the body lies in, often re-shaping muscle from rock, root or mud until the half-dead, or Fir Bolg as they are sometimes known, is ready to emerge, sometimes months or even years later. The natural preservative in the bog gives the creatures a leathery, distorted appearance, all the more awful because of the baleful glow spilling from their dead eyes. The full horror of the creatures name is only apparent when in battle against them. Not the mindless grasping of the undead for the half-dead, but instead the berserk strength of madmen, for each still contains a soul, trapped there by the leystone and bound to serve the fimir for all time. There are tales of some fimir holds long since abandoned, whose marker stones are guarded still. Morgayne only calls on these warriors in times in great need. The terror they inspire makes them hideous foes, as many of the tribes tell stories of warriors dragged screaming down into the swamp in the embrace of the half-dead. More still tell the terrible tale of Sreng, once a mighty human warrior who dared to kill a meargh, but now serves as the most powerful and cursed of the half-dead, who never sleeps, but dwells in madness under the stinking waters. Such is the gift the fimir have for vengeance. Travelling through the fens of Albion, one occasionally comes across a round, deep pool of still water. To the fimir, these places are known as marrow holes, or marl holes, and are home to the creatures they know as the marl wyrms. Voracious predators, the marl wyrms lie in wait for prey to stray close enough to their pool for them to ensnare with their long be-tentacled tongues, then to be dragged down into the pool and hence to the wyrms many rows of jagged razor-edged teeth. It is a bad end. Despite the dread reputation of these places, they are sacred to the Fir Domhan, as marl holes are reputed to be bottomless, and therefore a direct connection to the spirit of Fimul, God of the Earth and the deep places. On important occasions in the fimir calendar, fimir will gather at a pool and a dirach, or occasionally the meargh, will throw precious objects, food and sacrifices into the pool. The wyrms, despite their fell reputation as ravenous killers, never interfere with these ceremonies, which in ancient times prompted great debate among the dirach as to the nature of the beasts, and whether they were entirely natural creatures. This argument was settled once and for all over a millennia ago during a great ritual at a marl hole known locally as the father's rest. At the height of the chanting, as the dirach was due to fling the bloody corpse of the sacrifice from the rocky altar above the pool into the dark depths, a young fimm called Cian threw himself from the stones down into the cold waters. Gradually, amidst the shocked silence, the ripples settled, and all the gathered fimir gaped at the mark where the warrior had hit the water with a mixture of outrage and disbelief. To interrupt the ceremony in such a way was bad enough, but to enter the pool was punishable by death. The dirach, incensed at being jostled and humiliated by Cian screamed that should he emerge he was to be dragged to the altar to have his innards torn from his belly at once. The dirach are a touchy lot. Cian emerged soon after, but being astride a marl wyrm of enormous proportions and bearing a gleaming axe of ancient origin, his fate was not to be settled that night. 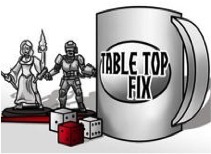 The stunned dirach, even now still irked by Cian's blasphemy, could not deny the hand of Fimul was at work. Word soon reached the Meargh, and she elevated Cian to Mistmor that very night, bearing as he was a magical axe thrown down into the depths hundreds of years before, and into a different marl hole. Her certainty resided in the fact that it was she who threw it into the hole herself, along with it's owner, a dwarf warrior of some repute. The wyrms were pronounced sacred beasts, harbingers of Fimul's will, and mounts to the greatest of fimir heroes. Since that time fimir warriors are sometimes called by some inner compulsion to the father's rest and have stood upon the stone altar above the dark pool and dived into the cold deeps before the assembled clan. Some are never seen again, but most emerge moments, minutes or even hours later bearing some lost treasure and mounted upon a great wyrm who will ever from that point on be at their beck and call in times of war. The blessed are those fimir who have returned from the marrow hole upon the back of a mighty marl wyrm bearing a weapon taken from the depths. From the moment these fimir emerge from the water they are regarded as personally blessed by Fimul and are therefore seen as sacred individuals. For their part, those fimir that return from the pool become generally dour and sombre unless in battle, where they display a fury that is terrible to behold as they cry their God's name in baleful adulation. They are led by Brodar, a fimir who did not return from the pool for a year, and who carries a spear know to the fimir as the infamous Gáe Bulg, a terrible barbed spear that causes horrific wounds. Brodar is greatly fond of his weapon for the devastation it can inflict on the enemies of Fimul and the Fir Domhan. 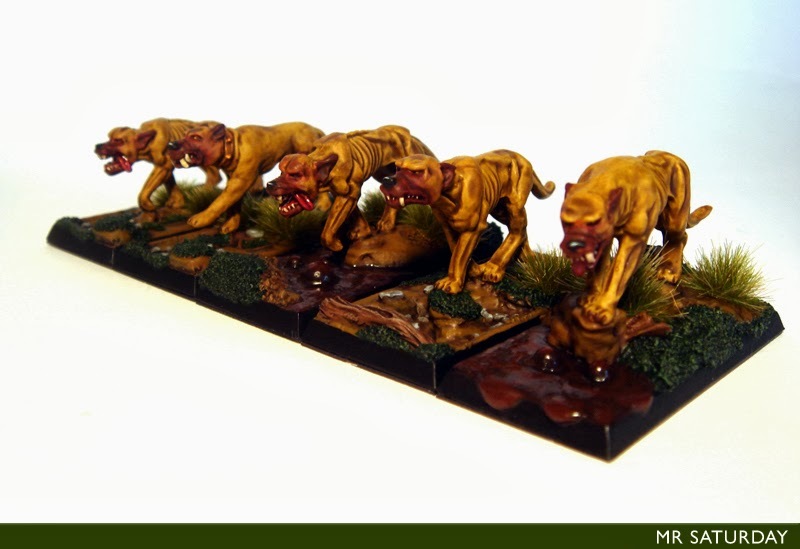 The war hounds of Cahan, the Cú Cahan, are often seen fighting alongside the warriors of the Sessair. These hounds have been trained to leap over the shields of enemies, or latch onto the face of a horse to bring down it's rider. Dogs are well loved by the Tuatha as both allies in battle and favoured pets, and owning a war hound is a sign of great esteem. Cahan has been breeding generations of successively larger and more vicious hounds for some years, which has made him well respected amongst the Tuatha. Cahan's favourite hound, Gelert, was killed defending his own young son many years ago. So grief-stricken by the loss was Cahan that he skinned the dog, and now wears Gelert's hide as a cloak. He can sometimes be overhead still addressing the dog as he works in his smithy or tends his hounds. Eavesdroppers would do well to keep hidden though, as Cahan has as quick a temper as his dogs, especially since his new right-hand hound, Shuck, was given to him as a gift from the dirach Murdach. Shuck is an enormous hound, black as coal and missing his right eye, but is the undisputed alpha of the pack. Shuck wears a collar from which hangs a single leystone, which in battle saturates the pack with Earth power, temporarily warping the forms of the hounds as the excitement of battle builds, causing new rows of teeth, spines and even extra heads to sprout from the dogs as they lope forward. Cahan and Shuck guide the hounds with equal mastery in battle, and many an enemy has thought his flank safe until the dogs were among their ranks, biting and tearing. The fianna fimm are regarded as the elite warriors of the fimir, second only to the nobles themselves. Greater in size than the more numerous fimm warriors, the fianna fimm are often found in the bloodiest fights in the battleline, smashing their enemies with mace, axe or spiked tail. The Fir Domhan boast a large proportion of fianna fimm, which adds greatly to the power of the clan. One of most renowned of these groups are the mionn dearg, or those who have taken the red oath. These fimir have sworn to avenge some slight to the clan, whether a specific transgression or simply those fimir maddened by the wrongs done the to the fimir as a race. As the fimir are almost as prone to grudge-holding as the dwarves, this band of warriors is never short of those willing to join. 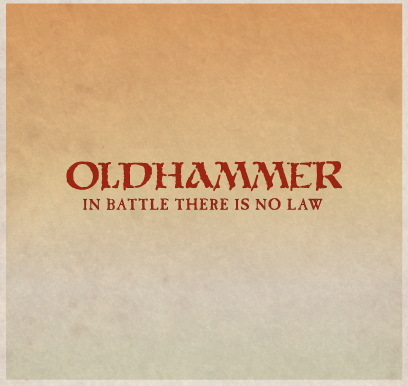 They fight under the eye of Solkan, a God of law, who acknowledges the ancient grievances of the fimir but rarely intervenes unless a judgement is required. 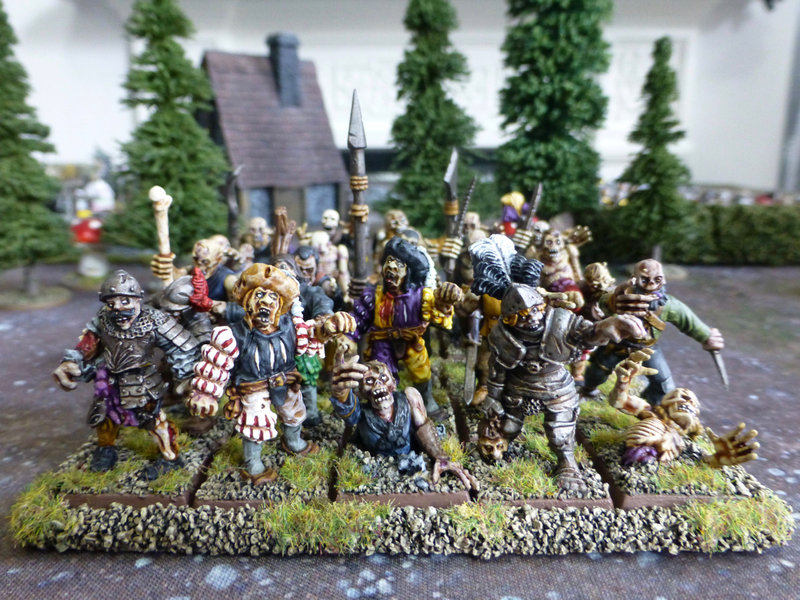 The mionn dearg are led by the hulking finmor Odhrán, a fimir who won the right to bear a belly shield for recovering a relic from the time of Fimul. Thought lost forever, the axe known as the doras an bháis, or death's door, has since been carried by Odhrán as a symbol of the resolve of the warrior's of the red oath. These fimm are followers of Balor, a fimir ancestor now revered as a God. Balor has long since ascended to a form of daemonhood, but takes an active and direct interest in the affairs of the fimir. He is martial and war-loving, and takes into his service those who show great prowess in battle. Such fimir lack the style and war-tricks of Lisaart's warriors, but make up for it in sheer savagery. 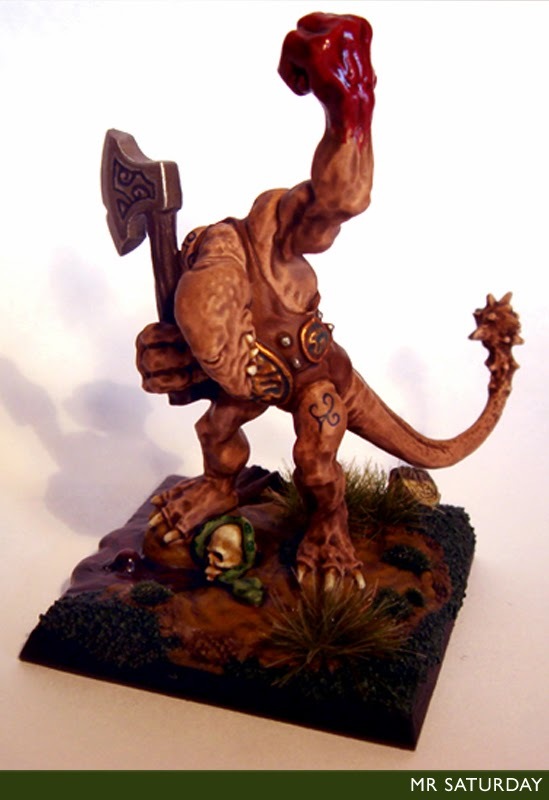 Balor will show favour to those who fight in is name, but unlike rage-blinded Khorne, Balor only accepts the blood of worthy warriors as his due. Many of the battle hungry carry broad axes, which need not be unsheathed as a sword, or drawn as a bow, but come instantly to hand. 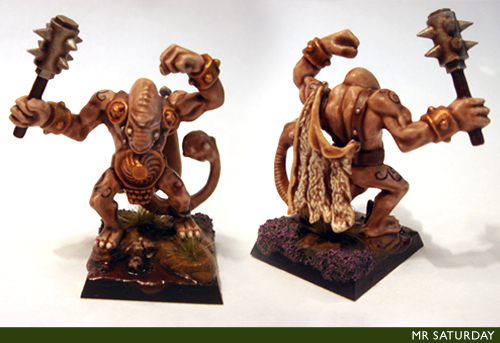 They are led by Molech, a huge fimm known to wear clothing dyed in human blood, who is quick to anger and slow to forgive. They carry the banner known as the dó súil, or burning eye, which is rumoured to contain the power to burn the enemy as Balor's own dread gaze did, long ago. There are some fimir so attuned to the powers of the earth that they are able to innately channel these forces to bring on a terrible battle rage known as the warp spasm. Their flesh swells and distorts into new and terrible shapes as the battle-lust builds within them, their bodies sprouting new limbs or terrible weapons made of bone and claw. Only a few fimir are blessed in this way, and are seen by the clan as amongst it's greatest warriors, always first to the line and usually in the thickest of the fighting. Once the blood-lust is upon them they see only the enemy and the feel only the desire to see his blood flow and his bones shatter. Some of these fimir have small leystones embedded in their armour, or even their flesh, to make it easier to bring on the spasm. There are risks to using such methods, however, as at the height of the conflict some of the warped find they cannot control the earth power and can warp out entirely, their form growing immense and awful to behold, their minds reverting to pure animal instinct. After the battle the warped soon revert to their normal selves, but those who have warped out and yet survive must be captured and caged, often for days, until the earth power ebbs back into the ground and their minds clear enough for them to be allowed rejoin their fellows. 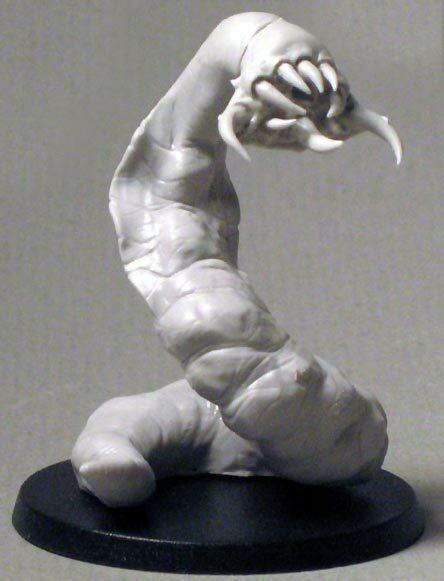 Among the fens and bogs of Albion lurk the Hag Wyrms, giant carnivorous worms larger than a full grown fimir, with maws full of snapping mandibles and razor sharp teeth. The hag wyrms often lurk about the edges of the fimir warbands hoping to devour the weak, wounded or the dead, be they the fimir or their enemies. They can be drawn to battle by the whispered entreaties of a meagh or dirach, especially if Crom is abroad, as he is kin and kith to these loathsome monsters. The dirach can often bind the wyrms to their will for a time, flinging them into the bloodiest fights to decimate the enemy as they sate their hunger on the flesh of the foe. The wyrms are notoriously difficult to control, however, and it is a desperate battle where the fimir will summon these beasts to aid them. The humans of the Tuatha taiden have long been bound to the Fir Domhan. Through common cause they have both survived and prospered, and take to battle as both allies and kin. The Taiden often bring many of their own strange creatures to war, from the horse-like Kelpie and the deformed Fachen to the mighty Dagda. The warband most often seen fighting with the fimir are the Sessair, warriors with a terrible fondness for violence, and who are rash and often impossible to control once the red rage is upon them. Such troops suit the fimir well, as they will tire the foe before the fimm wade in to crush the shocked and exhausted enemy. 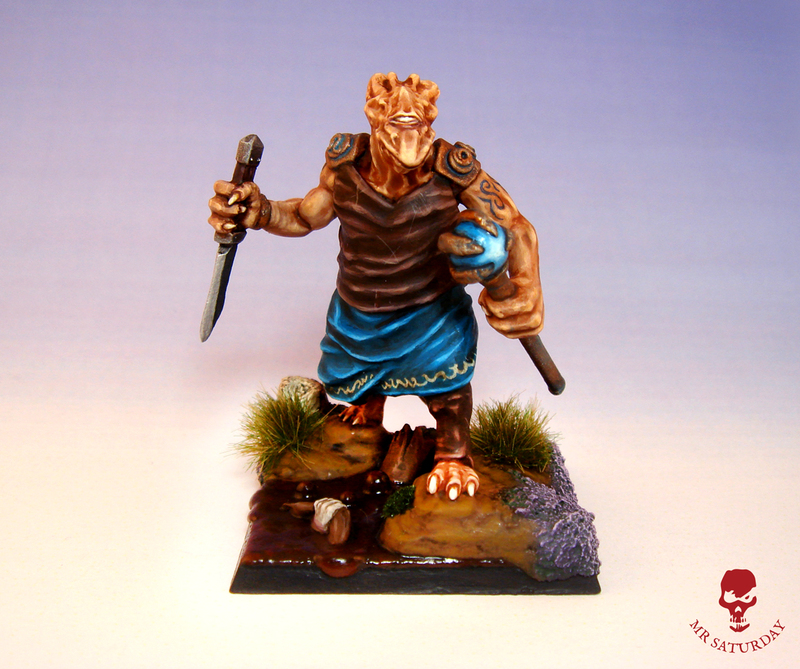 Fimir Battle Standard Bearer - Pictures and backstory coming soon. Nice! Love the background info! Quality - really enjoyed reading that. 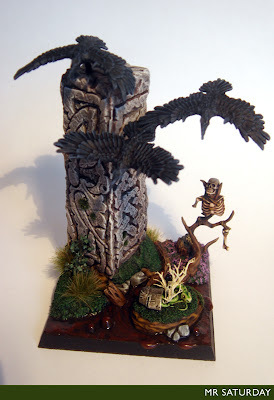 Also gives me some ideas of what to do with the old HeroQuest Fimir I recently got hold of. Great reading, a lot of fun. Thanks very much. I find a back-story heavily informs how I build and paint a unit, and, frankly, it's great fun to write them. Excellently written! A great looking army so far. Just had a look at the WFRP book "Dying of the Light" which has quite a lot of Fimir action... did it influence Avagdu's burden at all? Now I'm all inspired to add Marsh Demons to my army list. Looking forward to seeing the fully painted host! Hey Fimm. I can't say that it does, 'Dying of the Light' eh? I must pick that up! Probably not worth the extortionate amount it must sell for on auction sites but the scattered Fimir bits flesh out the background a bit. Ah, Fimm, excellent, I'd been looking for a copy. Thanks! Hi, I intend to rewrite the Fimir army book in the future, and would really like to include your background writing here if that would be okay with you? And if yes, please write more, it's an excellent read so far! Thanks very much. I'd be more than happy for you to use my background for your fimir book, absolutely! 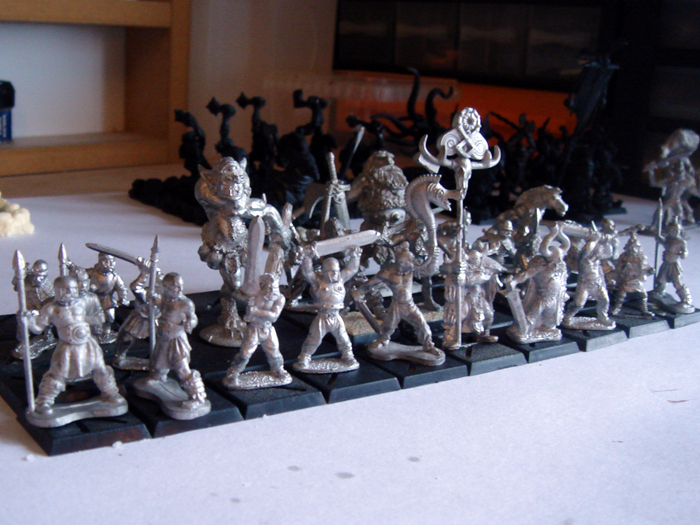 I do intend writing a lot more as the army progresses. One thing to bear in mind though, is that I've taken my cue from the fimir background in Warpstone 25, so there are references from that issue worked into my own background such as the fimir deities. That's completely fine, since I basing the book on that as well. Currently it's pretty much just a straight up copy of Warpstone Magazine's Fimir article with the added bestiary and army list, but after having spoken to the author, I've decided to re-do it in more of my own flavour. I'd be very happy to do a collaborative project even if you are up for it, the inclusions of Marsh Serpents and the like are really interesting as well! 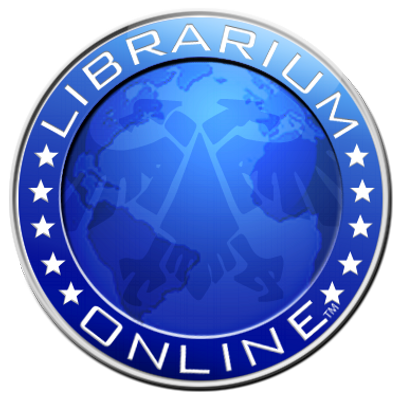 Sounds great, let me know when you get around to the fimir again, I'd love to be involved. In the meantime I'm sure this page will have some more background added to it soon enough. This is a brilliant blog and really inspiring. 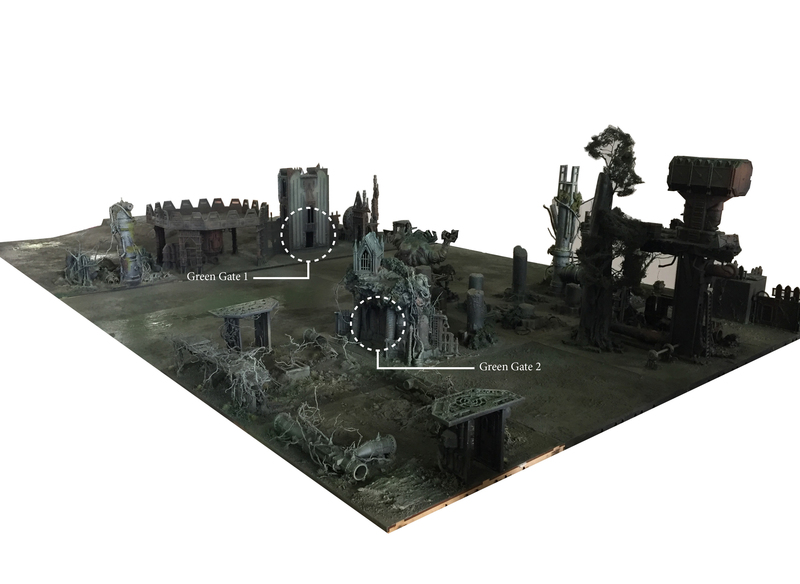 I love the ways you have presented the models. 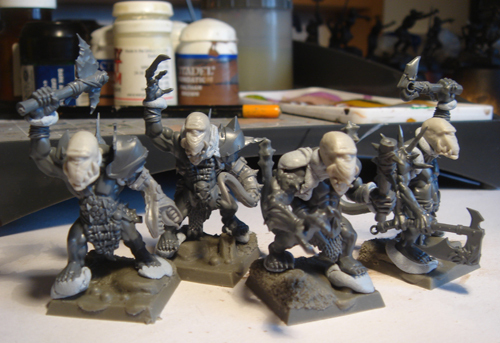 I'm starting my own fimir project soon, but using lizardmen saurus warriors as my base model. Need to cut the crest off the head, remove the spines along the back along with some of the scales (but will leave some as I want a rough and chaotic vibe), change the angle of the head, and green stuff an eye. Sounds like a fair amount but should be good. Think I might also bulk up the stomach slightly before using some small shields as belly shields. I'm going to try to set up a blog to record what progress I manage. Hopefully the project will be successful, though I know it won't be as good as what you have managed to create. I'll let you know if I manage to get something set up, would love your opinion on my take on fimirs. Hey John, thanks very much! The lizardman body is a good base for fimir, I considered it myself before settling on the savage orc body. Using belly shields is a good idea, the fimir do tend to have a gut. One thing I'd say is if you are sculpting heads, get them cast, it'll save you a ton of time. Dwarf weapons, shields etc give the fimir that Celtic vibe if that's the way you're going with them. I'd love to see your fimir once they are up, welcome to the clans! 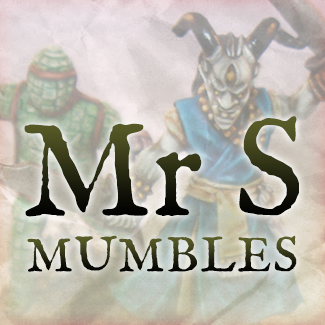 Hiya, I've set up the blog - first time I've ever set one up, so here's hoping that it works ok! It's just introducing the topic really, but thought you might be interested. Great stuff! Throw a follow button on your blog and I'm there. 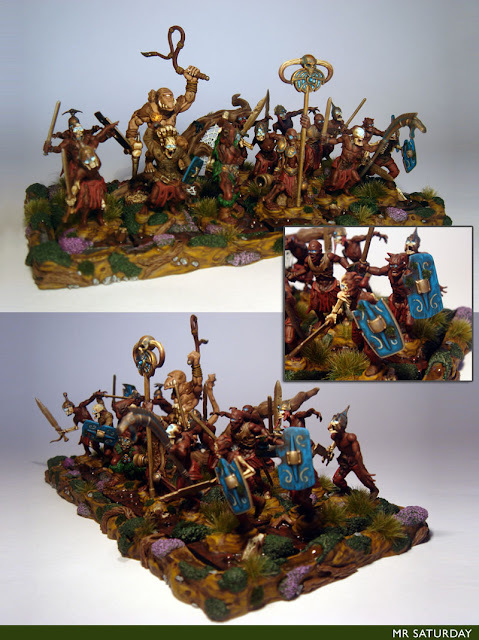 Thanks Esdras, I'd love to see you warband, put up a link when you have some photos! 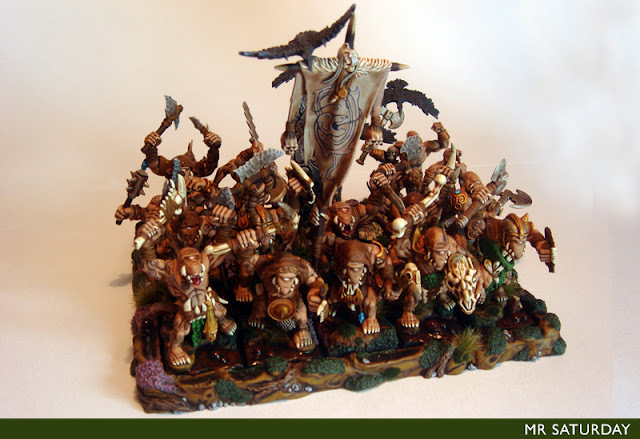 I will second the call for using this army in Kings of War. I am in the process of building a fantasy celtic army for kow to play as 'Herd' thats the "not beastmen" list. Great fimirs and really awesome background! Thanks very much! I need to add in a couple of entries in fact, to bring it up to date. 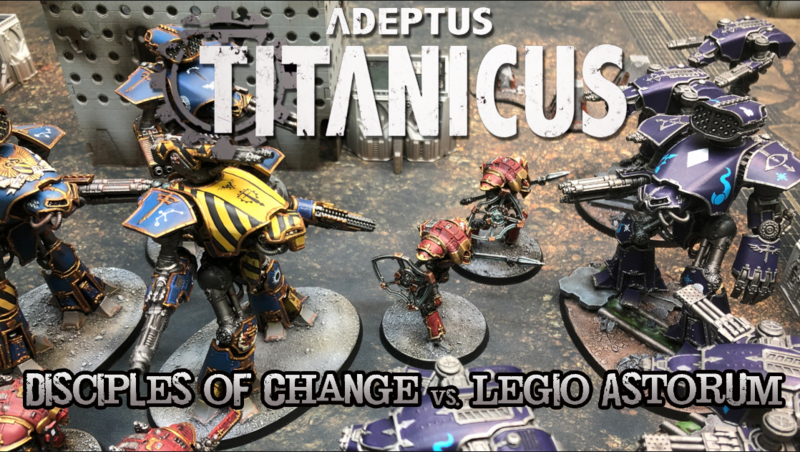 Did you see the forgeworld open day news yet? I sure did. Pretty exciting stuff with a new noble out and new fimir on the way. I'd never have guessed, but I'm delighted to see it happen. Thanks Nicolas, they look great.